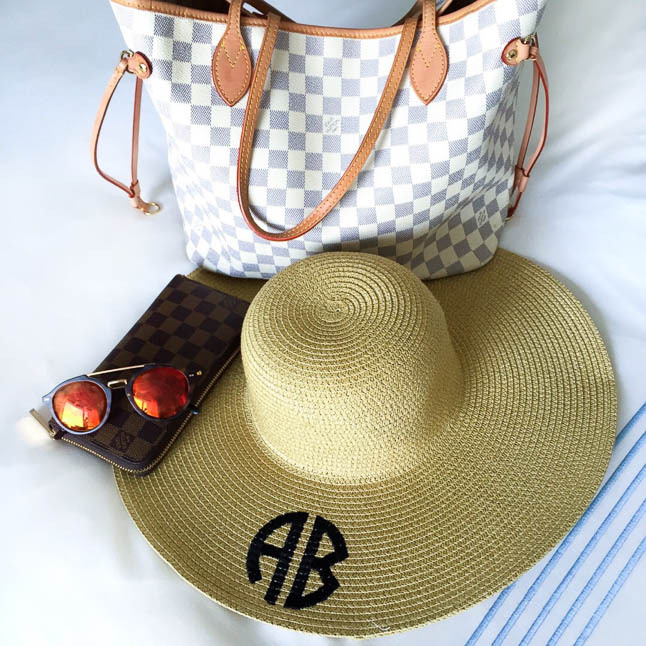 Weekend getaways are the perfect escape for a little mini vacation! 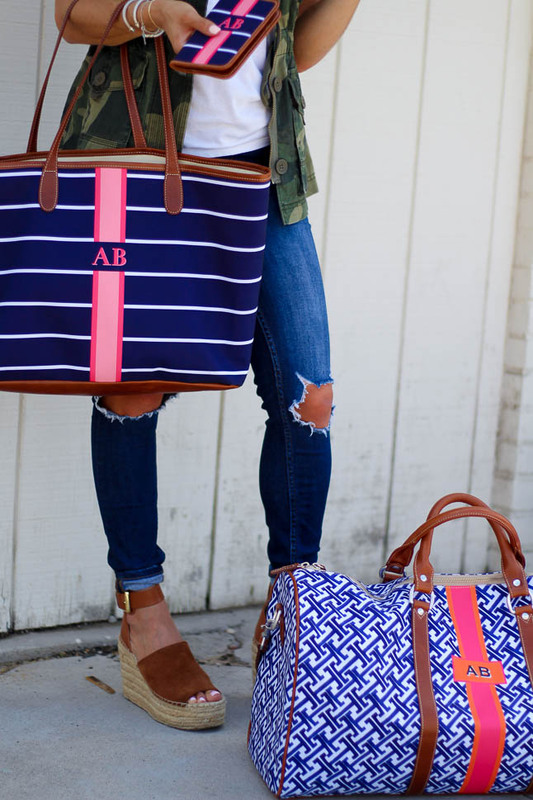 We are all about a short, little trip somewhere, but the one thing we dread doing is… packing! So many people put it off because it seems super overwhelming, and if you’re like us, we struggle with what to pack, how much to pack, what is the appropriate number of sandals and/or heels, and the list goes on and on. We have done quite a bit of traveling in the past few years, so we have the short-trip packing down to a T! We ALWAYS go for a carry-on bag. 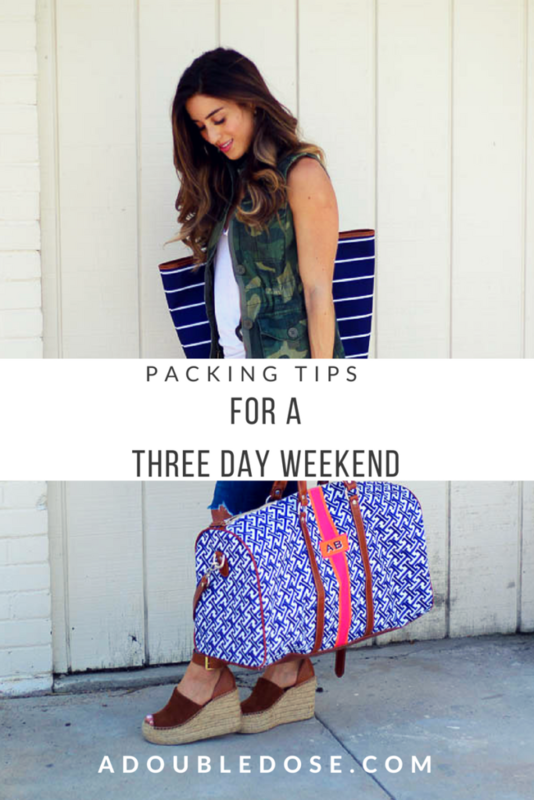 There is NO need to check a bag for three-day trip, unless you’re going to need a ton of outfit choices. Don’t get us wrong, we like our options, but we also don’t like waiting forever for our bags in the baggage claim. The same thing goes with road trips: you can’t be overstuffing the car with your stuff, especially since you have to be considerate (or should be) of other people’s items as well! We usually go for a small carry-on bag like this one that fits the size restrictions for airlines (be sure and check that before you get to the airport because some airlines are VERY strict about the sizes!). You can also opt for a duffel bag like this one, or a true weekender bag that still fits a good amount, but isn’t as structured. As far as a personal item, we also like to bring a tote bag like this one that fits our laptop and other necessary items. You can also use it throughout your trip as a beach or pool tote! If you go the backpack route, this one is a cute option that also holds a good amount. For packing, we love using these packing cubes to keep everything organized and in place! If you are packing something other than your cell phone, we recommend a small tablet, unless you need your laptop. You can still answer emails and do necessary weekend stuff, but it doesn’t take up as much space, and gives you a good break from the workweek! What we love to do is wear a dress or romper, or even some denim shorts and a cute top to dinner the night before, and then, the next day, it doubles a swimsuit cover up! We also love bundling, and need to implement it more because it saves so much space! What you do is: place the tops of shirts and bottoms in the middle of your suitcase. Then, create a core out of a towel and then wrap your shirts and bottoms around it. It will also help with wrinkling! Place the tops of shirts and pants into the middle of your suitcase. Create a core, out of a book or towel or whatever else you’re packing, and then wrap your shirts and pants around it. It save space and is a great way to avoid wrinkling. You can also roll your clothes to avoid wrinkles and works really well pants, skirts, and shirts. To roll, lay the item face down, fold back the sleeves, and then roll from bottom up. For more delicate items, we have found that tissue paper can work well. To do this, lay down the item face down and place tissue paper on top. Fold it with the tissue paper inside, and use additional paper to fold so it is completely wrapped in paper. Now that you have your packing all set up, you probably need to book a hotel, duh! In case you haven’t heard or tried Hotel Tonight, they make booking a weekend getaway super convenient! You can get some amazing last-minute rates in their easy-to-use iPhone or Android app. When hotels have unsold rooms, they load them in their app, so you get some great deals! You can book some spontaneous trips all over the country, which can be so fun with some friends or your significant other! 2-3 shorts/jean options (love these shorts)! We love carrying our cosmetics in a small bag like this one. In partnership with Hotel Tonight. [show_shopthepost_widget id="3196303"] Weekend getaways are the perfect escape for a little mini vacation! We are all about a short, little trip somewhere, but the one thing we dread doing is... packing! 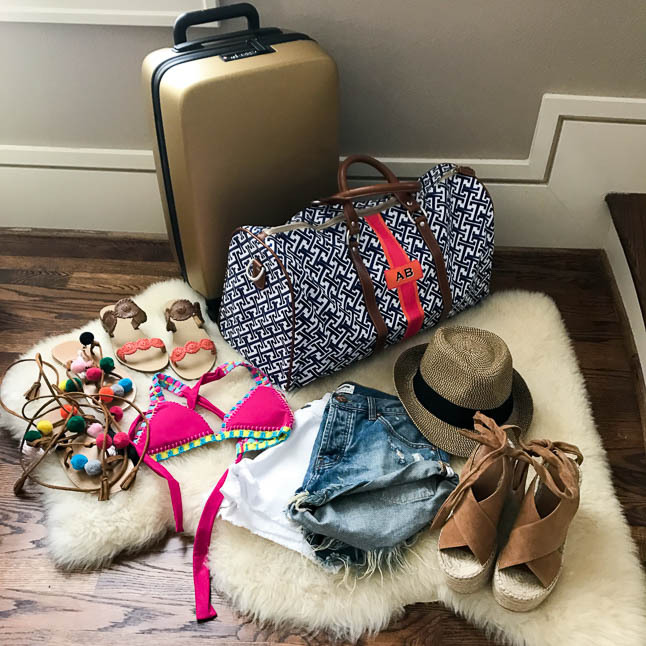 So many people put it off because it seems super overwhelming, and if you're like us, we struggle with what to pack, how much to pack, what is the appropriate number of sandals and/or heels, and the list goes on and on. We have done quite a bit of traveling in the past few years, so we have the short-trip packing down to a T!